Why not Foil your business cards for that extra special and hi-end finish? 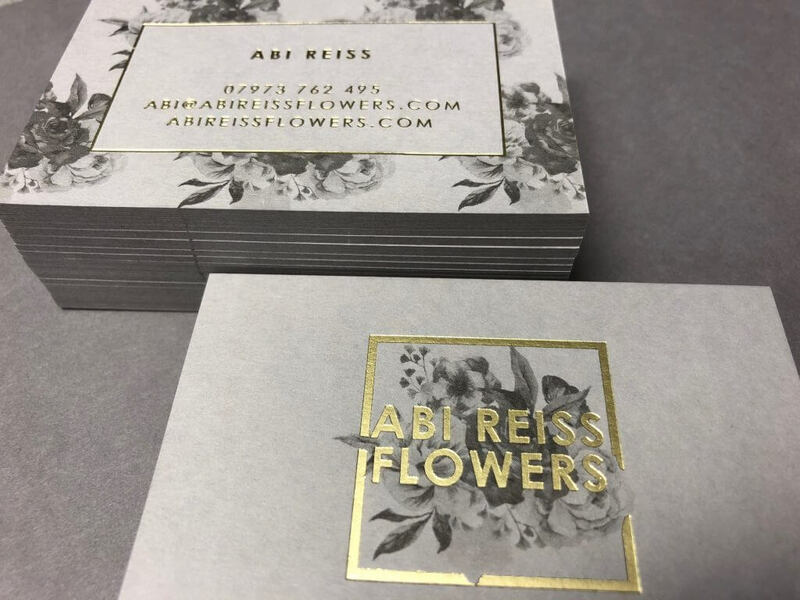 Our Foil blocking process leaves a deep indent and foil effect on your cards using traditional Heidelberg Foiling presses. We can also emboss and deboss while we foil to give a much greater indent or raised effect off the card. We foil onto Colorplan GF Smith Stock – there is a wide range of colours and finishes to choose from within the stock range. Foiled cards can also be duplex mounted or have a bevelled Gilt Edge to match the front foil colour. Duplex up to 700gsm or 1050gsm and use a sandwich effect of coloured card to produce a thicker Business card.